Hello everybody! 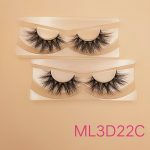 After our market research, 3D22 is the most popular in 18mm 3D mink eyelashes; DH003 is the most popular among the 25mm 3D mink eyelashes. In the United States, In the United States, they are more sought after by consumers and suppliers. People like its cross and natural look, as well as the feeling of being very natural and comfortable. If you look closely, you will find that DH003 is an enlarged version of 3D22, except for some unrecognizable details. Their work is very fine and you can see it is a durable piece of art. Yep, the quality is the most important thing. 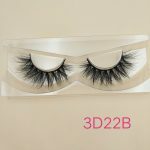 We have tried to wear the pair of eyelashes repeatedly, at least 20-25 times, and you can wash them like a bath. Recently, E11 with unconfirmed quality has appeared on the market. So, what is the difference between E11 and 3D22, DH003? 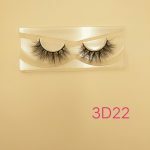 At first glance, the E11 really looks like 3D22 and DH003, but We know that the wholesale price of 3D22 is $5, the wholesale price of DH003 is $8, and the official price is very transparent. The retail price of the E11 is $2, which is an incredible price. According to what I know, $2 is not even enough to buy raw materials for 3D22 and DH003. 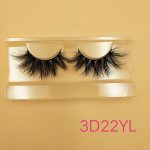 I must say that if you want a low-cost eyelash, the E11 is really a good choice. We must admit that we can’t do this at the moment, we can’t reach this price while maintaining quality, which is our shortcoming. From an economic point of view, the E11 using $2 a whole day is really good, but the $8 DH003 looks more attractive. Because DH003 can be used 20-25 times, that is, it can be used for one month. Equivalent to a $0.4 pair, you should not be deceived by digital games, don’t ignore your time. Remember that the quality of Innisfree Lashes is irreplaceable. The quality of DH003 and 3D22 is irreplaceable too. 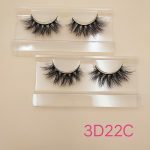 What is the difference between E11 and 3D22 and DH003? Prices vary, quality is different,and raw materials . 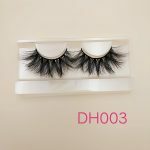 Innisfree Lashes is the best Mink eyelash supplier you choose.